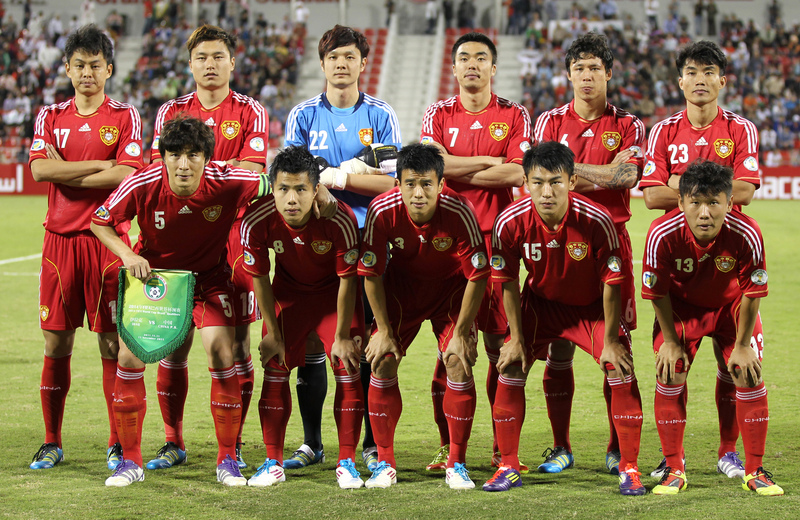 Home /China, China Soccer Observatory/Is silence golden when it comes to Chinese football? Before his sacking by Bayern Munich, rumours had circulated in recent weeks that Carlo Ancelotti would quit his post in Germany to go and work in Chinese football’s Super League. That aside, however, right now not much is being said about China and its football, inevitably leading football’s sometimes fickle stakeholders to claim the Chinese bubble has (or soon will) burst. Unlike the hysteria and hyperbole of recent years, during which speculation about which player would next head to China has often been rife (if not wild), we now seem to be in a period of silence. Critics and cynics alike will no doubt be congratulating themselves on calling this one right: that China’s spending spree would not last long. At this point though, it is worthwhile recalling the words of American writer Elbert Green Hubbard: “He who does not understand your silence will probably not understand your words.” From the point in 2009 when China’s President Xi Jinping first expressed positive personal views on the sport, the global football community has repeatedly failed to understand his and his country’s words. Xi’s 2014 proclamation of his football vision, and subsequent interventions into football by the Chinese authorities, have drawn perplexed commentaries from observers seeking to understand and find meaning in China’s football revolution. Even as recently as this year, the hype associated with new player transfer regulations seemingly baffled many people. And as Hubbard’s quote suggests, observers are equally now failing to understand the silence. One intriguing aspect of world football’s fast-disappearing summer were stories about some of the biggest investors in Chinese football. Suning, owners of Chinese club Jiangsu and Italy’s Inter Milan, found themselves accused of possibly having used football as a means for them to launder money. Subsequently, the chairman of Fosun (which owns Wolverhampton Wanderers), Guo Guangchang, was reported to be missing, with some speculating that he had been detained by the Chinese authorities. An even bigger name associated with football in China, Wang Jianlin (Chairman of the Dalian Wanda Group), was then rumoured to have been stopped at Tianjin airport and prevented from leaving the country. Other than some mild reassurances via their respective company websites that Guo and Wang are safe, well and free, little more has been heard about them. Indeed, while Alibaba owner Jack Ma recently ostentatiously appeared dressed as Michael Jackson at a party to celebrate his company’s 18th birthday, little has been seen or heard of his two counterparts. As for Suning, if a state broadcaster in, for example, Europe were to accuse a domestic corporation of money laundering, local lawyers would be relishing the impending payday that would surely follow. In Suning’s case though, CCTV’s claim about one of its biggest retailers has been followed by what appears to be complete silence. It is telling too that Suning, Fosun and Wanda are all seemingly refraining from football investment excess. So, it is all quiet on all the Eastern front, but what does the silence actually mean? One interpretation is that China’s government has simultaneously been engaged in deflating the player transfer market bubble, whilst also protecting the country’s national interests (as well as its financial system). In the last few years, money has flowed out of China into football investments elsewhere in the world – investments which have, thus far, often failed to deliver a tangible economic return or otherwise have undermined domestic efforts to build a football sector. Through measures ranging from the imposition of a 100 per cent tax on foreign player transfers to frequent state warnings that Chinese companies should not engage in “irrational investments”, China’s investors in football have been euphemistically warned to be quiet by desisting from overseas club purchases, the acquisition of expensive foreign talent, and so forth. When the state issues such edicts, organisations are normally well advised to conform. The silence also likely reflects Xi’s broader clampdown on dissent and potential political rivals. The Communist Party of China (CPC) is believed to be riven by factionalism, with some of football’s leading Chinese investors understood to have associations with anti-Xi factions. Even under normal circumstances, the politically astute Xi would be unlikely to countenance such deviance and dissent. However, with the 19th Communist Party Congress soon due to take place, Xi has been accused of seeking to suppress and, in some cases, remove political opposition. As such, recent state interventions in football may be part of a wider political crackdown targeting those from within China who have been deemed either unpatriotic or else working against the best interests of the country. For those affected, silence is, if not golden, then certainly advisable. Meanwhile, in the largely mute current world of Chinese football, one voice has periodically continued to bellow. Chinese entrepreneur Dr Tony Xia, owner of the English club Aston Villa, has apparently failed to read the significance of his government’s desire for silence. Always a trigger-happy presence on social media, Xia has nevertheless recently surpassed himself on Twitter. While President Xi and his government have been obsessing about irrational football spending, Xia has recently made several public social media posts in which he appeared to explain how his companies are going to avoid Chinese government controls on his investments. It remains to be seen whether Xia will face the consequences of his words in China. If he is aligned with a pro-Xi faction of the CPC, then it may be that his misdemeanours will be conveniently ignored. One suspects the latter applies to Yonghong Li, owner of AC Milan, who certainly hasn’t been silent over the summer – his new club having spent upwards of £160 million on new players (which nobody in Chinese government appears to have labelled ‘irrational’). Perhaps, then, in China it isn’t just the silence one needs to understand; it is also who is silent and why that we need to think about. Equally, for those breaking the silence, the noise they make is just as intriguing. Indeed, once the upcoming Congress is over, it will be interesting to listen-out for who in Chinese football speaks first and who remains silent. The question is, will the world of football understand either? Simon Chadwick is a Professor of Sports Enterprise at Salford University and the Co-Director of the China Soccer Observatory. 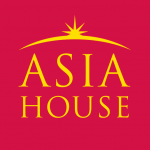 This article was first published on the Asia and Pacific Policy Society and can be found here. Image credit: CC by Wikipedia Commons.